Exchange Database (EDB) recovery for corrupted and damaged EDB files. Split and create new PST files. Save EDB Items into PST, EML, HTML, RTF, etc. Exchange EDB recovery has now become an easy task with the Exchange Recovery Manager. It facilitate for trouble-free EDB recovery of corrupted and inaccessible EDB files. It comes with proficient features which not only recover EDBMailboxes but also capable of migrating EDB files mailboxes to PST, Office 365 Mailboxes and Live exchange Mailboxes with Mapping (as well as archive mailbox and public folder of Office 365 and Exchange Server migration). Exchange Recovery, recover corrupted and damaged Public (pub.edb) and Private (priv.edb) EDB files, add non-corrupted EDB Files as well. No size limitation for EDB Files for EDB recovery. Maintain proper folder hierarchy of EDB Mailboxes in folder list. Preview option to view item properties. Save EDB files Items in MSG, EML, HTML, RTF, etc. afterperforming exchange database recovery. Migration of Exchange EDB mailboxes into Outlook PST, Live Exchange server Mailboxes and Office 365 Mailboxes. Search option with various criteria. Item filters options as per preference at the time of export and save EDB Mailbox Items. 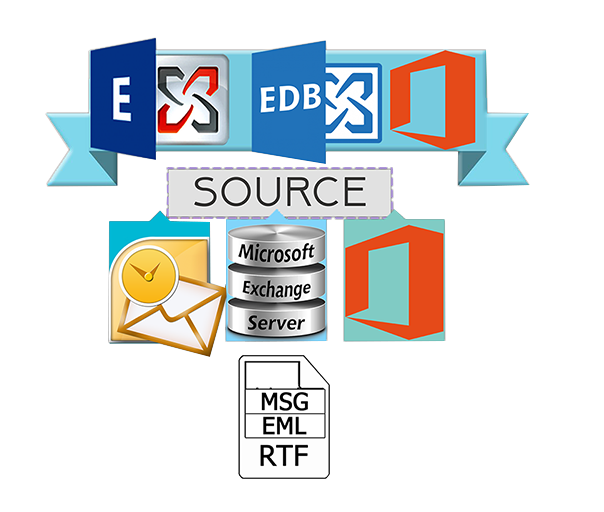 Add EDB files and different mailboxes by adding various mailboxes in source. Source mailboxes may include EDB files mailboxes, Exchange server mailboxes, Office 365 mailboxes, Outlook Profile stores, Office 365 and Exchange server single store (Mailbox, public folder and archive mailbox). Exchange EDB recovery recovers corrupted public and private EDB files which are inaccessible without having any alteration in the original content of the EDB files. Beside this, it also helps to recover all EDB Mailbox folder items such as Emails, contacts, calendars, Task etc. with proper folder hierarchy. 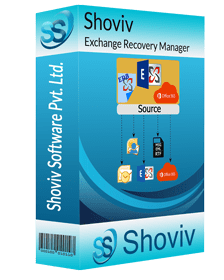 Exchange EDB Recovery comes with enhanced features which not only recover EDB files Mailboxes but also allows to save EDB files and other source mailbox Items into different files format such as MSG Unicode, MSG, EML, HTML, RTF, etc. so that user can save the recovered EDB Mailboxes and Added source mailbox Items as per their choice. A swift and easy approach to migrate EDB files into multiple Outlook PST files. Apart from them, the tool facilitate with the options to restore EDB fileand added source mailboxes to new PST files along with password protection without damaging the hierarchy of the EDB files & source mailboxes. It also allows to split large sized mailbox into small PST files depends upon users requirements. Migrate EDB files into live exchange using exchange recovery. The software also facilitates to migrate Exchange server mailboxes into new or upper version of exchange Mailboxes without any alteration in the original mailboxes. It enables for automatic Mailbox Mapping as well as Manual mailbox mapping during migration process. Further, one can migrate the added source single mailbox to Live Exchange mailbox, archive mailbox & public folder as well. Auto-mapping feature allows to automatic mapping of source mailboxes (such as EDB File, Office 365 and Live exchange) to target mailboxes in ease. The tool allows to select each added source mailboxes and map it with the respective target mailbox. It also allocated with the option to validate the target Mailboxes so that userscan ensure themselves that whether target Mailbox is capable for migration or not. Migrate EDB files into Office 365 mailboxes. The tool has capability to migrate Live Exchange and office 365 mailboxes into another Office 365 mailbox without affecting the data inside the mailbox (with mailbox Mapping features) It also facilitates to migrate the added source single mailbox to Office 365 mailbox, archive mailbox and public folder without any hurdle. This highly advanced tool also facilitates with the option to filter mailbox items according to the different criteria which are based upon its message class (Item Type such as Email, Contact, Calendar, Task etc.) and item date. Using this option, user can include and exclude the mailbox items as per preference or mailbox items according to the item date.